Less is more. The old adage has never been more true than in the case of the new WNWS and Brownsville Radio websites. 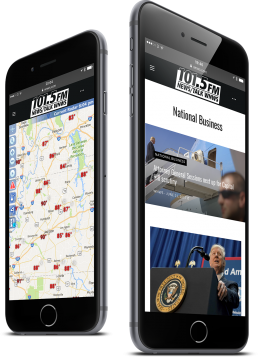 Today, living as separate entities, the two, Tennessee news outlets were once paired together on one of our most challenging projects, Point5Digital.com. As with their parent website, the separation of WNWS.com and BrownsvilleRadio.com represents one of our most unique challenges to date. The gauntlet laid down? Creating profitable, ad-driven websites for two distinct news outlets. The sites needed to be similar enough to share some sales platforms and writers, yet bespoke enough to serve the needs of two audiences generating hundreds of thousands of page views per month. In addition, the new websites would have to host more dynamic advertising features than the original Point5Digital, features like infinite scroll stories, large format advertising, retargeting advertising architecture and an ever-evolving media library of photos, eCommerce options, weather maps and livestream audio and video. In short, these sister websites were the ultimate test in flexibility for our WordPress-based content management systems. 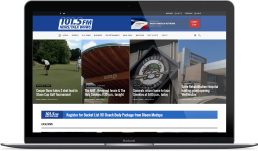 Both WNWS.com and BrownsvilleRadio.com were redeveloped as powerful, highly-purposed Wordpress websites that—after months of coding—give users stability and performance while delivering news, radio programs and live, video sporting events. 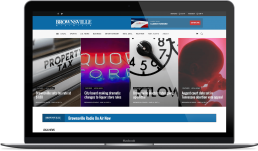 We leveraged the Wordpress network and our own development team to customise a WordPress theme into a unique solution for WNWS and Brownsville Radio using plugins and custom code. We simplified the advertising options on both sites, allowing for new, multimedia and large format ads. And, we incorporated an infinite scroll to drive more traffic from individual articles shared on social media. Tying each site together is a first of it’s kind system that merges local, staff-created news with national news via custom-coded software that connects to the Associated Press—and a high-resolution image library that’s updated every two minutes. In short, our WordPress-based web design systems passed with flying colours. Now, after 3 months of collaboration, design, and redesign, these two media outlets have a worthy home powerful enough to pay their own way many times over. Thanks so much for the work your team completed on our new Internet sites, brownsvilleradio.com and wnws.com. They’re exactly what we expected, and your attention to detail/minor adjustments after they went live is much appreciated. We appreciate your fast response to all of our enquiries.